Brief: To design an Exhibition Hall that showcases the industry of Dammam. Concept: Dammam No.7, the first commercial oil well in Saudi Arabia, inspires Dhahran Expo Centre, which was eventually revealing the largest source of crude oil in the world, a discovery that has changed the Middle East forever. This inspiration is to be expressed in the main areas of the Centre with large geometric forms inspired by the Oil Well's structure, in addition to the luxurious materials used throughout the space. 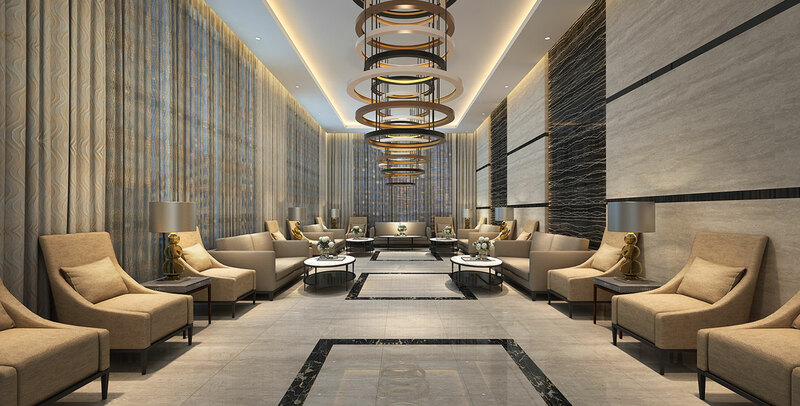 Outcome: One is first impressed by the attention-grabbing, large geometric forms on the Lobby's ceiling, which is inspired by an oil well's structure. 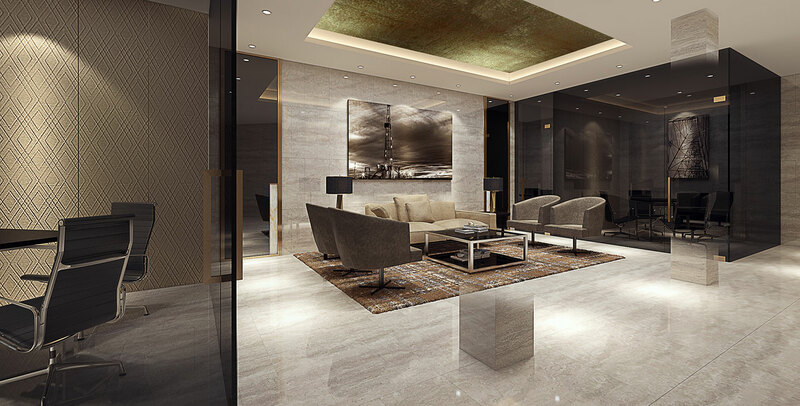 The luxurious material used throughout the space, such as the marbles, high-end textures and golden accents, leave a great impression and expresses the country's wealth through its natural resources.